By offering all three benefits of a price- and propostion-simplifier, Uber's founders were able to create a service no one knew they needed. Since 2009, the age-old taxi cab system has started to crumble and die in cities around the world. If you live in a big American city, or increasingly elsewhere -- from London to Singapore to Bangalore -- you’ll already probably be well aware of the brave new world of Uber. Uber was founded in San Francisco by CEO Travis Kalanick and Garrett Camp. They devised the software app that enables the system to work, recruited drivers in San Francisco and launched the site in 2010. Since then, Uber has spread to 250 cities throughout the world, constrained only by legal and regulatory challenges as traditional taxi drivers fight a rear-guard action, and a handful of imitators who got in first in a few cities, notably London. Although the regulatory issues are serious, the new way of catching a cab seems set to kill traditional taxi firms stone dead. Simplifies the ordering process -- no hailing, no phoning, no searching. Reduces uncertainty of when and what type of car will arrive. No need to tip -- indeed, it’s not even possible (except with cash payments). Makes it easy to split the fare. Makes the price transparent with an accurate fare estimate for your trip. Security and peace of mind through tracking. Better quality through rating driver and passenger on every trip. Universality -- a single app works in most major cities around the world. Saves time through seamless on-demand dependability. Choice of services, from standard to luxury cars. The experience is a revelation when compared with traditional taxis. The system itself is extremely simple, not least for the company itself. It owns no cars -- it’s just an intermediary that uses technology to connect riders with drivers, then takes a slice of each transaction. Uber has been incredibly successful already. Although it was started with very little money, by November 2015, the company’s valuation was said to be $70 billion. It’s the most outstanding recent example of proposition-simplifying. Of course, the company echoes several of the characteristics of other proposition-simplifiers, but it also reveals much about how proposition-simplifying can work today. One of the more remarkable aspects of Uber has been how the company was able to grow in its early days. In the early years, it spent virtually no money on marketing, relying instead on word of mouth to spread the news about its services. The speed at which a truly compelling proposition can diffuse through word of mouth in a superconnected world can be surprising -- another reason why analysts and onlookers habitually underestimate the growth and potential size of simplifiers. 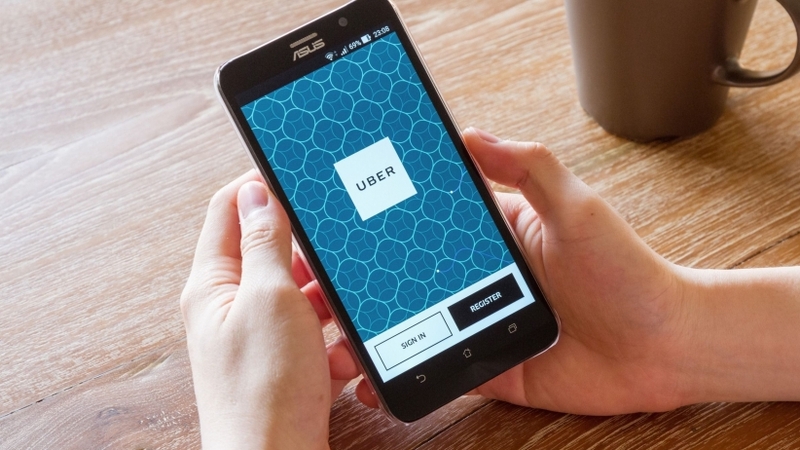 But word of mouth is only one aspect of Uber’s growth potential. Other figures imply that the company isn’t only capturing market share but increasing the size of that market. Travis Kalanick stated in early 2015 that the traditional taxi market in San Francisco is about $140 million per year, while Uber’s gross revenues in that city are now approximately $500 million per year -- a good three times larger than the traditional market. Moreover, Uber’s revenues in San Francisco are tripling each year and should continue to grow for several years yet, which will easily make it 10 times larger than the whole of the old market. At this point, one might conclude that Uber was always going to be unbeatable once it perfected its service. After all, it created a disruptive experience that radically simplified the taxi proposition; it had a very direct revenue model that earned a handsome cut of every transaction; customers seemed happy to do the heavy lifting of attracting other customers, so there was no need to spend fortunes on marketing and advertising; and, as we have seen in San Francisco, it could build a multi-million-dollar business in just one city, even before it expanded into hundreds of others. So, we might ask, why did Uber need to raise all those billions of dollars? Why couldn’t it fund its growth through its own surging cash flow? Wasn’t the original proposition-simplifying idea good enough to ensure success? The answer is that success was certainly not assured. There were fundamental characteristics of Uber’s service, and how it had to operate within its markets, with which the company’s leaders had to grapple. In particular, they faced three dramatic threats. First, Uber’s basic service is easily and cheaply replicable. In fact, it’s been copied hundreds of times in various countries around the world, in many cases with less than a million dollars of investment capital. The importance of this cannot be overstated: For Uber to succeed over the long term, it has had to grow at a phenomenal rate in order to shut out its rivals. The second threat faced by Uber is that its rivals not only poach valuable customers but also degrade Uber’s service characteristics while improving their own by being the larger operator in certain cities. In these cases, large operators will consistently deliver far shorter waiting times than any of the smaller operators, including Uber. So it’s dangerous to be substantially smaller than the market leader because such markets invariably consolidate down to one or two main competitors over time, as the leading firm’s product or service becomes far better than the rest simply because it’s bigger. Finally, Uber had to address the fact that its business is initially local, city-by-city. To realize the advantages of a better-optimized pick-up and delivery network and not suffer the disadvantages of being a follower, the company had to launch in hundreds of cities around the world at the same time in order to pre-empt competition. This rapid rollout gave the firm another advantage, too: Because Uber established a presence in so many cities, its business customers soon began to realize the benefits of using a single app wherever they were in the world. Hence, the competitive footprint and success conditions for competitors started to become harder than merely achieving dominance in a particular city. So, far from assuming success is guaranteed, Uber has had to behave like a fearsome and paranoid competitor. In August 2014, the Wall Street Journal focused on Lyft, a smaller San Francisco-based competitor of Uber, and declared: “Forget Apple versus Google. The fiercest battle in the tech capital may well be between two heavily financed upstarts plotting the demise of the taxi industry -- and each other.” Tales of sharp competitive practice have been rife. Lyft has accused Uber of poaching its drivers in order to disrupt its network growth; and both companies have accused the other of ordering and cancelling cars to interfere with service levels. Uber’s stance against regulators and unclear legislation has been equally aggressive: Get in first, and conciliate the regulators later. And, after relying on word-of-mouth marketing in its early days, Uber is now pouring money into recruiting drivers and advertising its services everywhere.